F. Scott Fitzgerald was not a good student. At age sixteen he was expelled from St. Paul's Academy. At seventeen he entered Princeton University after a brief stint at a prep school to get his grades up. At Princeton he became friends with future critics and writers, Edmund Wilson and John Peale Bishop. He became absorbed in the Triangle Club, Princeton's theater group, the oldest touring collegiate musical comedy troupe in the U.S., and renowned for featuring an all-male kick-line in drag. Fie! Fie! Fi-Fi! 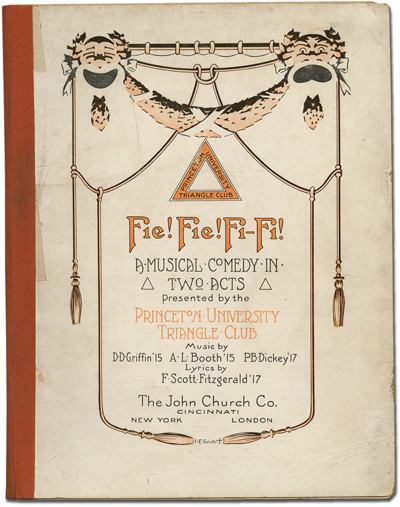 was the first Triangle Club production written by Fitzgerald, a freshman whose book and lyrics were selected for 1914-15 production. "Fitzgerald was cast in the role of Celeste, but due to his poor grades could not appear in the show and the role went to one of the composers, Dudley Griffin. That did not stop him from having his picture taken as a chorus girl. Being a chorus girl in a Triangle show was by far the sought after role. At a time when co-educational schools were rare, both sexes in a play were portrayed by the available student body. Therefore, it was not unusual to view a Princeton show with men dressed as women" (Ellwood Annaheim, opening remarks to the 1998 Musical Theater Research Project performance of Fie! Fie! Fi! Fi!). His witty lyrics won high praise. Fie! Fi! Fi! We're shocked that you are married. Fie ! Fi! Fi! Your little plan miscarried. 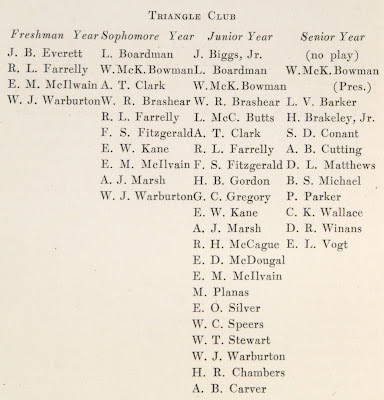 Fitzgerald was a Junior in the class of 1917. There are at least three photographs of him in the Bric-A-Brac for that year. He's in the center rear of his class photo, one of the few in class not wearing a top hat or bearing a cane. He's also pictured in the Triangle Club, as well as credited with the lyrics for the club’s annual musical Fie! Fie! Fi-Fi (coverage for which takes up several pages), and he's again pictured on the staff of the Princeton Tiger. He is also listed in several other places, including as a member of the Cottage Club, The American Whig Society, and the Minnesota Club. Classmates Edmund Wilson and John Peale Bishop are pictured in the book. 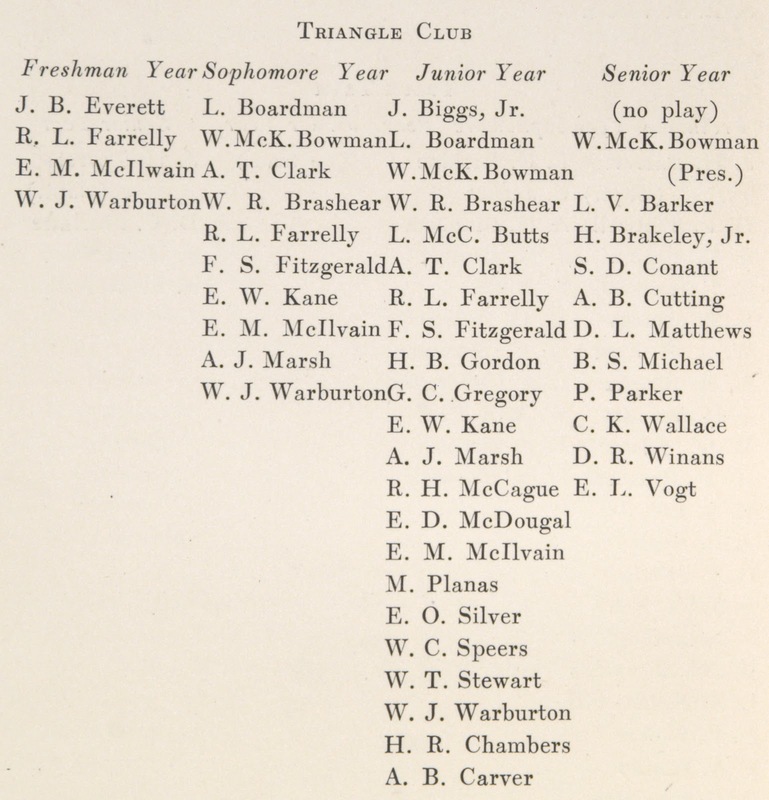 In the The Nassau Herald, Class of Nineteen Hundred and Eighteen, Fitzgerald is mentioned as a member of several clubs, and is pictured in a group photograph of the Board of the Princeton Tiger. Edmund Wilson has a separate class entry. 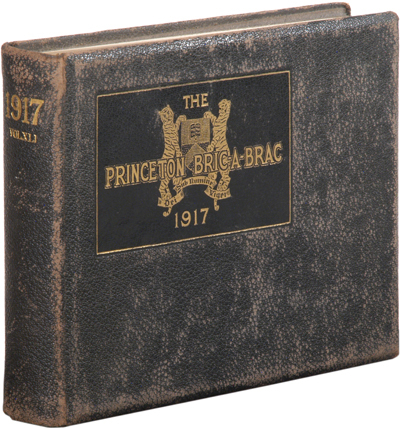 In 1919, the war effort presumably interfered with timely publication of the Bric-A-Brac, and this yearbook seems to cover five classes instead of the traditional four. 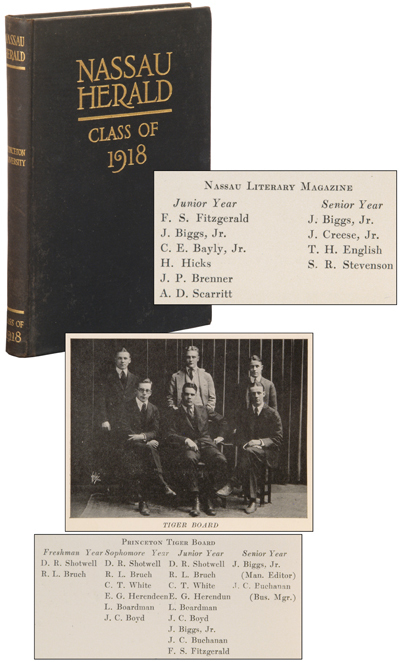 Fitzgerald was in the Senior Class and sits front, dead center in the class photo. He is also pictured in the Triangle Club, (as well as credited with the lyrics for the club’s musical, Safety First) and as a member of the Board of the Princeton Tiger. He is also listed as a member of the Cottage and Frenau clubs. Ever the lazy student, Fitzgerald was on academic probation and unlikely to graduate when he left Princeton to enlist in the Army for WWI. Commissioned as a second lieutenant, he was convinced he would not survive the war. The Armistice intervened. Images courtesy of Between the Covers, currently offering these Fitzgerald items, with our thanks. 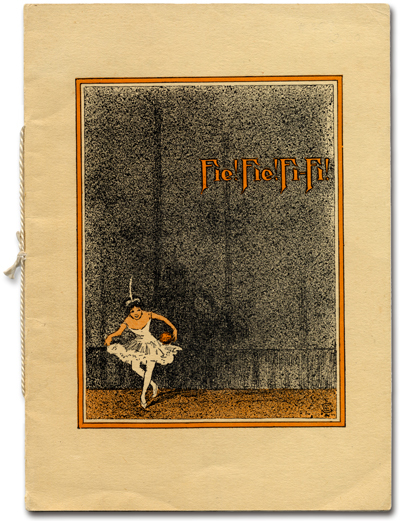 The $150,000 Dust Jacket Comes to Auction (The Great Gatsby). In Paris With Scott, Zelda, Kiki, Ernest, Gertrude, etc., and Georges Barbier. Hola, quizás os interese saber que tenemos una colección que incluye el relato 'The Curious Case of Benjamin Button' de F. Scott Fitzgerald en versión original conjuntamente con el relato 'The Swimmer' de John Cheever. Tenéis más info de este relato y de la colección Read&Listen en <a href="http://bit.ly/natj5h”>http://bit.ly/natj5h</a>. Is This the World's Worst Copy?